Vintage chalkboard lettering always makes people happy. It reminds us of the days when things were simple. 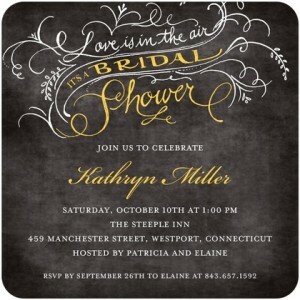 The hand-created, beautiful lettering can still be created the old-fashioned way, but it also translates well into the digital realm of wedding invitations and graphics. As a designer or bride, you want to keep up not only with the trends, but the amazing and personal ways to express your style on your special day. Using vintage lettering styles on a chalkboard background can say quaint, fun, quirky, simple, modern, vintage, country or just plain beautiful. I hope these collections of chalkboard lettering graphics inspire you to create something amazing! ModernJen does not claim ownership of the graphics from the links above. Stock image sites provide graphics, including jpg, pdf, and vector formats, at a cost. Every site has their own pricing and license options. Please be aware of license and pricing restrictions at each individual site.